Health | Traci's Insurance Services, Inc.
What is Individual or Family Insurance and who needs it? Everybody deserves to have a health insurance policy. To complement your choice to live a healthy life, we offer even more peace-of-mind with our individual, family and group insurance plans. If you cannot afford health insurance for yourself or your family, we provide assistance with the Covered California health insurance plans. Need health insurance coverage today? Apply for health insurance below!! We offer affordable healthcare, HMO, PPO, HSA Plans, Individual Health Insurance, Family Health Insurance, Covered California, Dental Insurance. With many choices in Health Insurance, we can help you find the right low cost plan for you or your family. We specialize in Small to Large Business Health Insurance Plans. We can help your business set up a Group Health Insurance Plan that fits your budget and the budget of your employees. When it comes to your Dental and Vision, we have you covered. Under the Patient Protection and Affordable Care Act, residents of California can get brand name health insurance. Find out if you qualify for a discount on private health insurance or simply purchase health insurance from California’s Medi-Cal program. 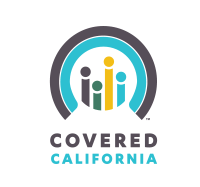 Covered California is the place where Californians can get brand-name health insurance under the Patient Protection and Affordable Care Act. It’s the only place to get federal premium assistance to help you buy private insurance from companies. Aliera Healthcare is an innovative healthcare organization offering both traditional healthcare and healthcare sharing plans, which are an alternative to traditional insurance. At the core of Aliera plans is a concentration on the patient using our “Core 4” Patient Centered Medical Home Model of Care. Employer Group plans range from ACA compliant ‘Minimum Essential Coverage” to Self-Funded Qualified Health Plans. Our Individual ACA Exempt plans are supported by our Healthcare Sharing Ministry Partner, Unity HealthShare. *Please contact us for a full description of Aliera Healthcare before applying online. If you still need a quote for your health insurance? Please contact us, let us help you..